Dr. Christopher L Marsh, MD is a Doctor primarily located in La Jolla, CA. He has 39 years of experience. His specialties include Urology and Transplant Surgery. He speaks English. Dr. Marsh has received 1 award. The overall average patient rating of Dr. Christopher L Marsh is Great. Dr. Christopher L Marsh has been rated by 4 patients. From those 4 patients 2 of those left a comment along with their rating. The overall rating for Dr. Christopher L Marsh is 4.0 of 5.0 stars. Transplant surgeons are trained to transplant organs from donors, whether living or deceased, to the patients in need. This includes liver, lung, heart, intestine, pancreas and kidney transplants as well as tissue, bone marrow and cornea transplants. Kidney disease, diabetes, cystic fibrosis and serious infections are just a few reasons you might need a transplant. Your surgeon will consult with you prior to the operation for a pre-transplant evaluation and they will see you through your healing process to ensure you have no complications. Some surgeons get additional training and education on pediatric transplants to provide special care to children. Christopher Marsh, MD, is the chief of the Scripps Organ Transplantation Service in the division of organ transplantation and surgical program director of the Scripps Center for Organ Transplantation. He is currently chief of staff for Scripps Green Hospital. Dr. Marsh has expertise in liver, kidney and pancreas transplantation, as well as liver, adrenal and retroperitoneal/abdominal sarcoma surgery. His active clinical research includes clinical trials using new immunosuppressive drug regimens in liver, pancreas and kidney transplants. He is also pioneering steroid-free immunosuppression in organ transplantation and initiating new clinical protocols. Previously, Dr. Marsh was associate professor of surgery and urology, director of the kidney and pancreas transplantation program and associate head of the division of organ transplantation at the University of Washington Medical Center in Seattle. He is a member of numerous societies including the American College of Surgeons, the American Society of Transplant Surgeons, the International Pancreas and Islet Transplant Association, and the American and International Liver Transplant Societies. He also holds positions on national and regional transplantation and organ procurement committees and has been involved with the United Network for Organ Sharing (UNOS) liver and intestine committee and pancreas islet committee. 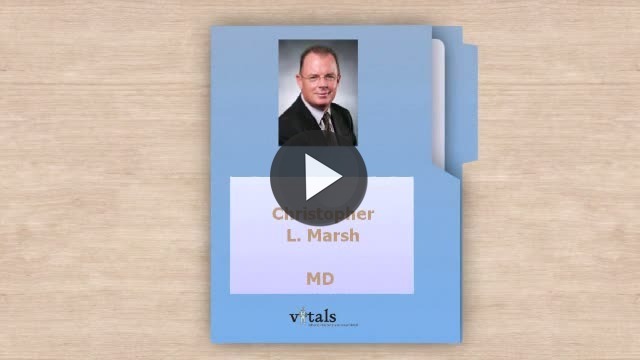 Take a minute to learn about Dr. Christopher L Marsh, MD - Transplant Surgery in La Jolla, CA, in this video.